Just as we were getting some warmer days, my thoughts have turned to winter woollies! So imagine the smile on my face when I spotted the Big Knit, organised by the smoothie people, Innocent. 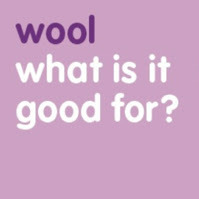 They’re looking for people to knit and donate tiny woolly hats which they’ll put on the bottles of Innocent smoothies they sell through supermarket Sainbury’s. For every hatted bottle sold, Innocent donates 25p to Age UK. So far the appeal raised £1 million for older people’s projects. Strangely enough, I’ve never knitted a hat for a bottle before, so luckily there’s a page of patterns on the Big Knit website. Knitting a cute and super-achievable project for a really good cause? Don’t mind if I do! I’ll keep you posted on hat progress. Does anyone else fancy joining in?